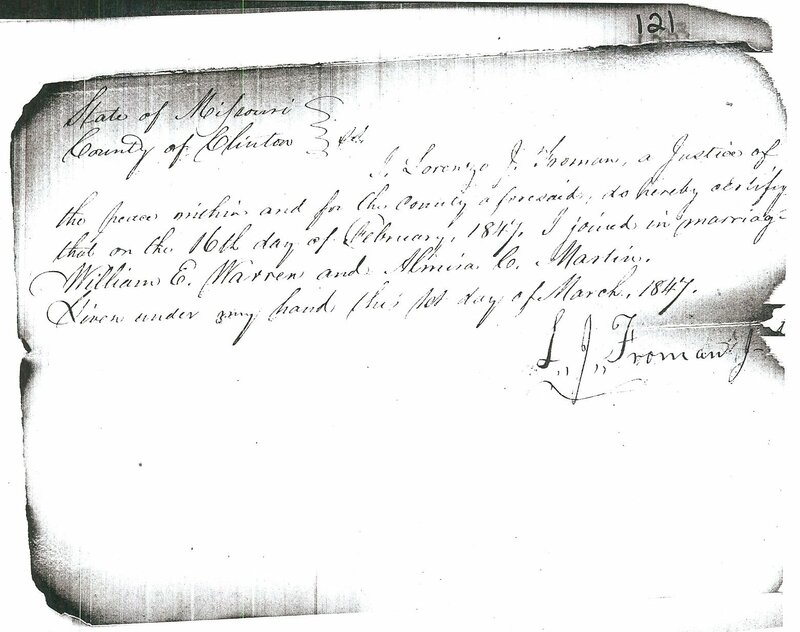 Ol' Myrt here was nearly speechless, and the tears started to flow when I found this document signed by my direct ancestor L J Froman, Justice of the Peace. We were doing research at the Clinton County Courthouse in Plattsburg, Missouri. 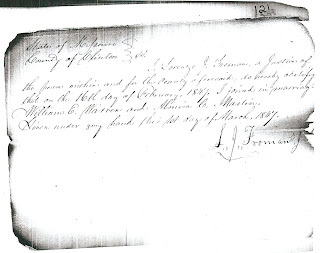 1847 Warren-Martin marriage entry, loose papers laminated. This is a marriage return where my ancestor states he joined in marriage William E. Warren and Almina C Martin on the 1st day of March 1847.